Finding the best accounting/finance jobs can be tough. Have you tried using Indeed.com to help find the best roles? Not only is Indeed easy to search, but according to SilkRoad, Indeed produces 50% of external hires. Twice as many as CareerBulder, LinkedIn, and Monster combined. Indeed is so useful because of its large job database. This makes it both a wonderful resource — and a potential headache to sort through to find exactly the kinds of job you want. When visiting the Indeed homepage, a simple search box of “what” and “where” is an easy way to get started. The “what” box is for the job title, keywords, or company name. The “where” box accepts the city, state, or zip code. If you’ve visited the site before, a recent searches selection appears below the “what” and “where” boxes. To conduct a more complicated search, use the Advanced Job Search near the “Find Jobs” button. The site automatically sorts job results by relevance. Find more timely information by filtering the listings by what’s most recent. On the left hand side of the search, there is a wealth of information about the jobs. Indeed allows you to use a variety of filters to narrow down your search with specific parameters. Use factors like salary, titles, locations, companies, and more to find exactly what you want in a position. Include a phrase in the “what” box to search. Use quotation marks to specify the terms. For example, search for a term like “financial analyst” or “accounting manager.” Be sure to use the quotation marks when typing in your query. If there’s a term that pops up that doesn’t seem relevant, exclude it by using a minus sign “-” or the word “NOT”. For example, a search like “accountant NOT bookkeeper” will produce accounting jobs and bookkeeping gigs. 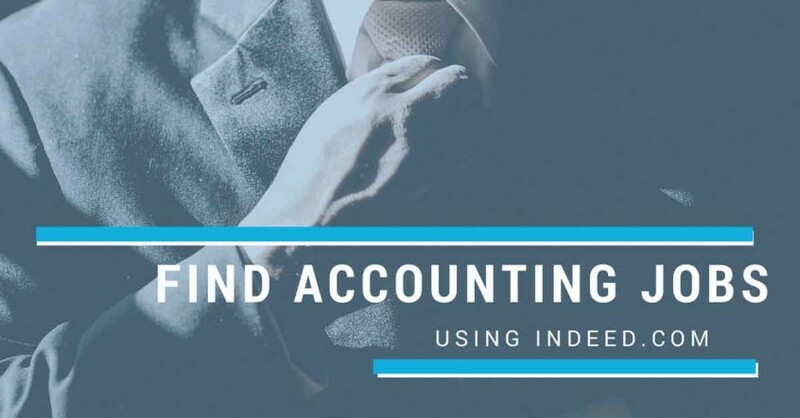 A search for “accountant -bookkeeper” will give you the same results. To conduct a precise search with several terms, logic terms such as AND and OR are helpful. For example, a manager and director often function in a similar manner. A search like “Manager OR Director” will search both terms. Take this to the next level by using AND and OR at the same time. Searching “Manager OR Director AND accounting” would produce results for accounting managers or directors. The advanced search can also help sort through job postings. This page provides boxes for various keyword searches, titles, companies, job types, salary estimates, location, and posting age. You can search for jobs in New York City with salaries higher than $50,000 by typing “New York City” in the location box and “50,000” in the salary box. It’s possible to make searches too specific and then generate only a few job postings. It’s easy to increase the number of job postings by using the OR operator or by deleting search terms. Once you’ve optimized your Indeed search, save it. This way, you can get any new and relevant job postings as they come up. Sign up for job alerts by email with the email subscription form located on every job search page. It’s possible to also save searches with a RSS feed by signing up for a my.indeed.com account. Knowing the appropriate job title is essential to taking advantage of Indeed’s database. If you’re not sure what keywords to use in your job search, scanning organized job postings is helpful. The easiest way to browse is to click the Browse Jobs link at the bottom of the page. The Browse Jobs page organizes jobs by job titles, companies, state, and categories. For example, click on an industry like Accounting to see the top job titles. You can click through to similar titles like Staff Accountant, Senior Accountant, or Financial Analyst to see which job title is the best fit for you. Wouldn’t it be nice if a potential employer came to you? By posting your resume on Indeed’s resume database, it’s possible for employers to find you and get in touch. While there are better options available (such as LinkedIn), some of you will want to test having your resume listed on the major job sites like Indeed. Don’t forget to remove your personal contact information before posting your resume. You can leave off your phone, physical address, and email. Leave your City and State so employers know you’re local.